Darryl Smith and Laurie Lazer are Artistic Directors and Founders of The Luggage Store gallery in San Francisco. Since 1987, they have curated over 200 visual arts exhibitions and have organized thousands of performances at The Luggage Store, the luggage store annex and in the Tenderloin National Forest (aka Cohen Alley). 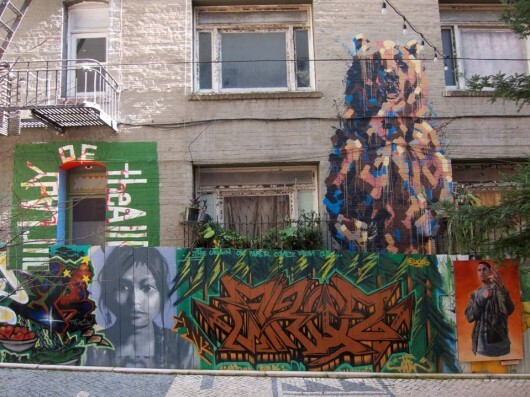 For 6 years they operated a public arts project at 1000 Market Street located at the ground floor of the San Christina Hotel – a collaboration with Community Housing Partnership, a non-profit low income housing developer serving multi-challenged residents. 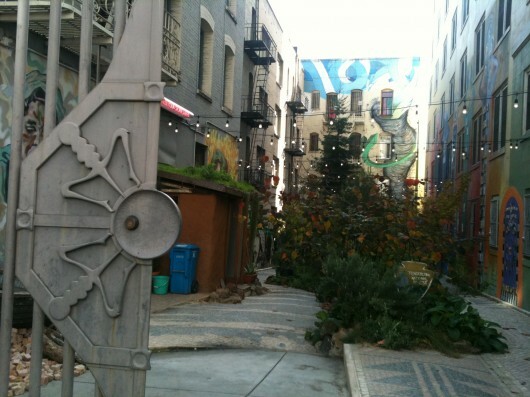 They transformed Cohen Alley from a dangerous and blighted inner city space into a neighborhood cultural commons now known as ‘’The Tenderloin National Forest.’’ Smith and Lazer developed the curriculum for and taught ‘’A Downtown Introductory,’’ an experimental class at the San Francisco Art Institute with their mentor (and now Board Member) Carlos Villa. From this experience, they developed an innovative mentoring program for emerging artists and curators called ‘Short Cuts’. They were selected as Artists in Residents at the internationally renowned Headlands Center for the Arts and are frequent lecturers and often serve as panelists and awards recommenders. The Luggage Store, also known as The 509 Cultural Center is a non profit artist run multidisciplinary arts organization, founded in 1987. Its mission is to build community by organizing multidisciplinary arts programming accessible to and reflective of the Bay Area’s residents. Its programs are designed to broaden social and aesthetic networks, and to encourage the flow of images and ideas between the diverse cultural communities that cross paths in the exceptionally dynamic downtown San Francisco neighborhood. To implement this mission, they organize exhibitions, performing arts events, arts education and public art programs designed to amplify the voices of the region’s diverse artists and residents, to promote inclusion and respect, to reduce inter-group tensions and to work towards dispelling the stereotypes and fears that continue to separate them. Darryl Smith and Laurie Lazer have been working to transform Cohen Alley since 1989 from a place emblazed in a health-hazardous cesspool of bodily fluids and other dumped items, non-supervised open-air chemical experiments and illicit – criminal activities — to a community commons where people of all ages can gather for public art, performance, experimental art projects and classes and activities related to this inner city garden which is home to naturally growing vegetation and built organic structures, or just to sit…. The Alley has been reclaimed and rededicated on May 9, 2009 as “The Tenderloin National Forest.” One of the very few open spaces in the high density neighborhood of over 40,000 culturally and ethnically diverse residents, the Alley is surrounded by multi story residential buildings and hotels that house formerly homeless, immigrant individuals and families, as well as seniors, artists, active drug users, dealers and others. The Tenderloin Children’s Playground is situated directly across the street. In 2000, Lazer and Smith negotiated a lease with the City of San Francisco for $1.00 per year. A sculptured gate, commissioned by the luggage store and built and designed by Bay Area artist Kevin Leeper was installed. 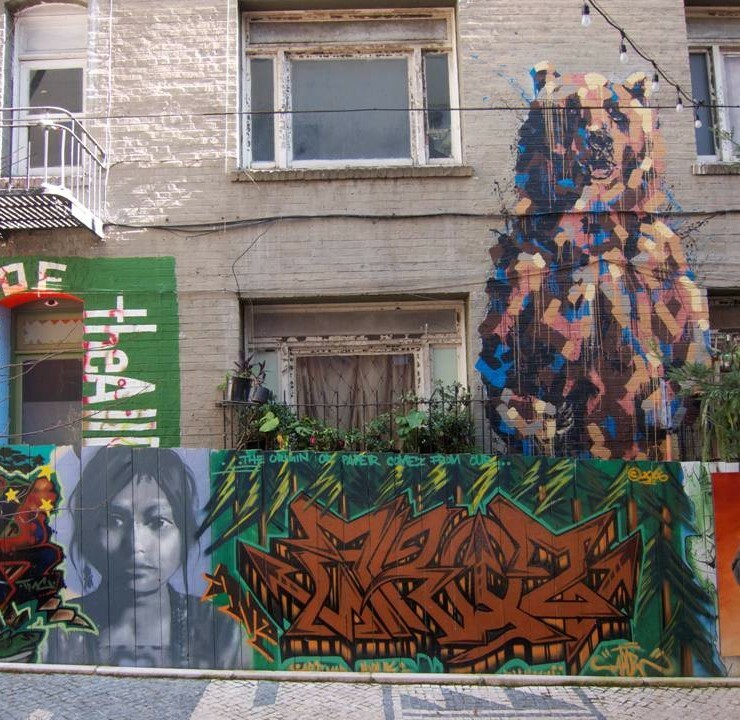 Over the years, Lazer and Smith have organized murals to be painted on all sides of the Alley, produced and presented hundreds of performances and cultural events, planted trees, vegetables, herbs, flowers, built a small “ green” structure with a living roof, a staging area, seating, a clay oven, and upgraded lighting. The Tenderloin National Forest is now dynamic, and is one of the most peaceful, quiet and inspirational areas in the neighborhood. 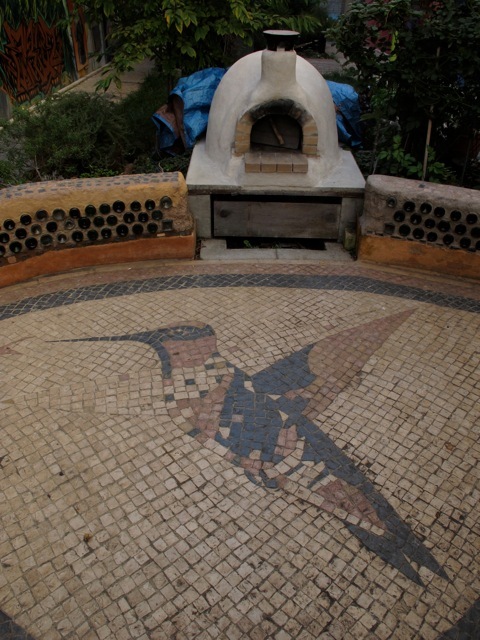 In 2010, the Tenderloin National Forest was awarded the San Francisco Beautiful Award.